With the number of cars getting added up to the roads every day, car enthusiasts feel the need to get noticed on the road. Enter the car modification scene. Tastefully done modification jobs can enhance the look and feel of any regular car. Here are 5 such cars that’ll make you go drool over them and will give you few ideas for your next car upgrade plan. The Hyundai Verna has existed in the Indian market since a long time now. The Fluidic design of the car makes it look very soft and easy to the eyes. The Verna is not known for its sharp design but this owner of Verna had different ideas. The car has been lowered with new stiffer suspensions. There is body kit that makes the lower lip of the bumper look very aggressive. The car also gets wheels from Vossen painted in gloss black that complements the white colour of the vehicle. The lights have also been changed and the whole new set-up now looks much more beautiful and unique than a stock Verna. 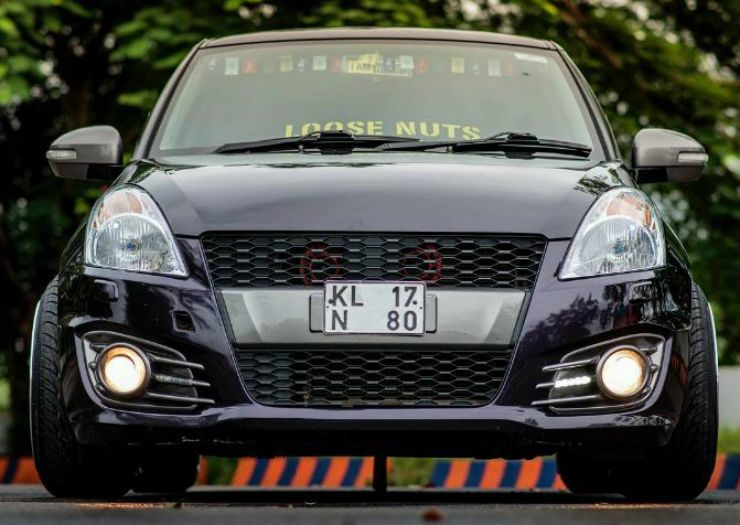 The Maruti Swift has been the segment leader for many years now. The hatchback has become as common as potholes on Indian roads. Owners of Swift do really want to stand out from the sea of Swifts that swarm on roads and this is one perfect example of modifying the car tastefully. 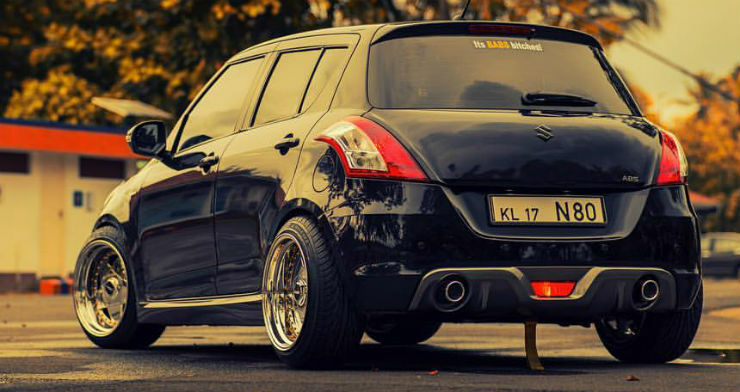 This black Swift from Kerala is lowered with Yellowspeed racing suspension set-up. The car gets beautiful deep dish 17-inch rims of steel colour that contrast with the black body. It also gets the bumper from Swift RS. To make the car perform better, the Swift gets Simota racing intake system with custom exhausts. 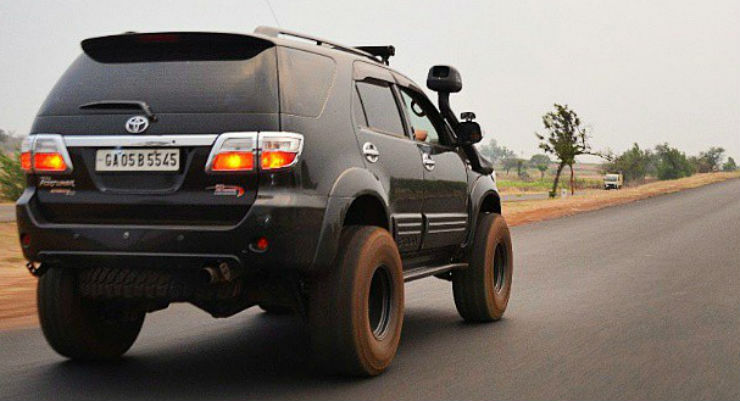 There is no denying the fact that Thar is one of the most modified cars in India. 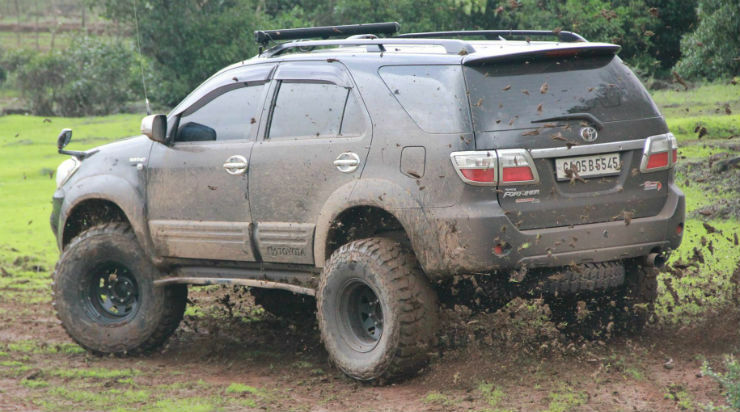 The 4X4 SUV becomes the base of many modder’s dreams. In the crowded scenario of customised Thars, this one really stands out. The SUV gets performance tuning from Tune-O-Tronics for starters. 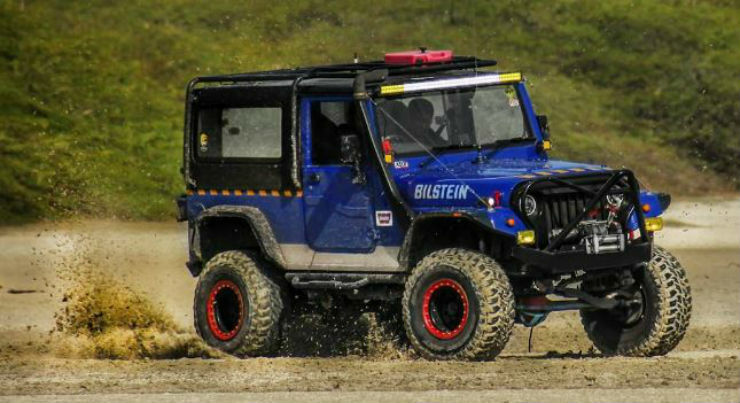 The suspensions are upgraded to Bilstein for better handling and off-road capabilities. It also gets a roll cage and a customised hard top. 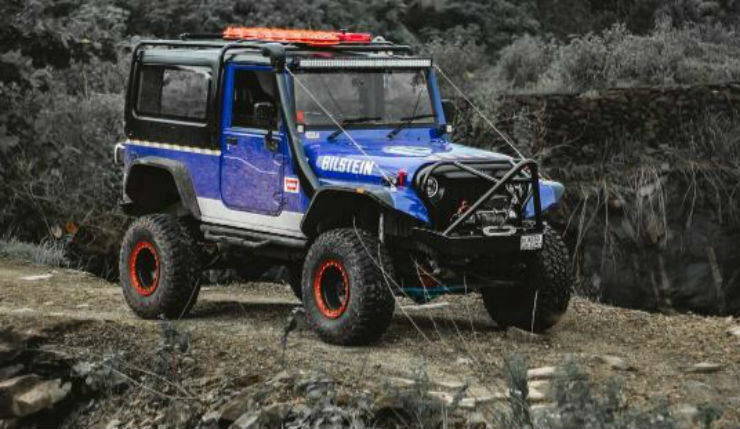 The Thar also gets 15-inch steel rims with orange paint on the outside that really goes with the blue body colour. There is customised snorkel for deep water wading adventures too. Honda Brio is one good looking car. The only problem is that the car has retained the current form since many years now people really avoid the car because of stale design. This is a perfect example of how to keep your Brio unique while gathering a lot of eyeballs. This Brio belongs to Kochi and gets an all-black treatment. There is no chrome left on the car and enhances the look of the vehicle. The Brio gets new alloy wheels finished in gloss black and body to go with it. The car also gets Automech race exhausts for the louder note and better performance. The capable SUV has been the first choice of people who want to buy a car in this segment. The current Fortuner is losing its charm simply because of its long existence in the market without any substantial facelift. The black coloured car gets black treatment to the steel rims. 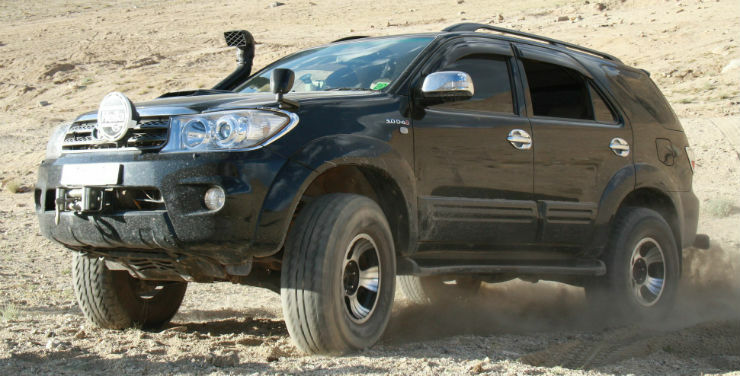 The SUV gets huge 35-inch tyres that can put any other stock Fortuner to shame. It also gets a snorkel for deep diving in the water and auxiliary lights for exploring the darkest of the corners. Volkswagen Polo is the first choice of enthusiasts when it comes to the hatchback segment of India. The timeless design of the Polo and the German engineering makes it very popular among car lovers. The Polo also gets lots of attention from the modders. 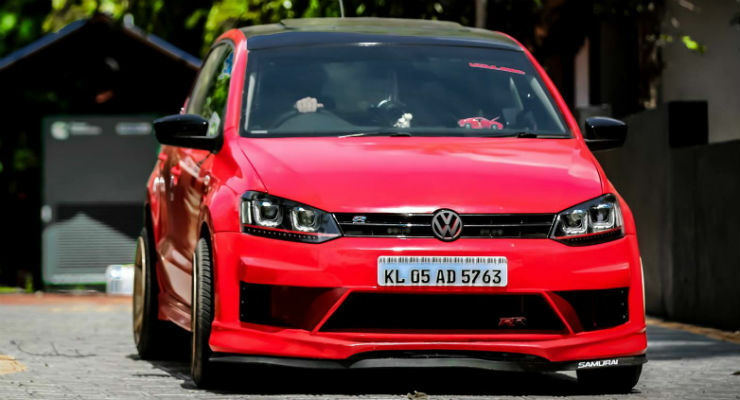 Here is one such Polo that has been modified tastefully. 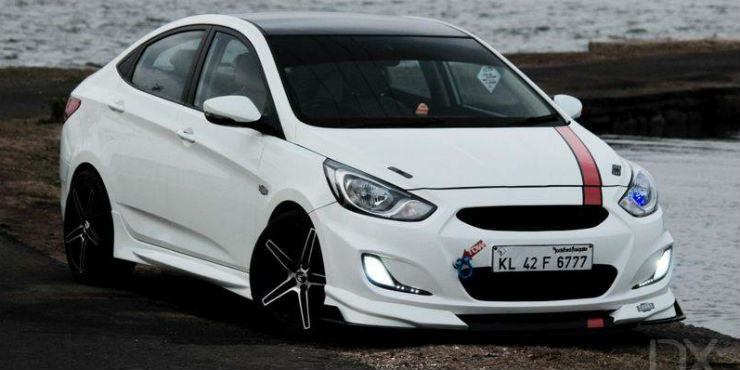 It comes with PSD body kit that further increases the aggressiveness of the car. It also gets PSD valvetronic exhaust system. The car has been lowered with customized springs and gets 17-inch alloy wheels that have been painted in golden color.